LOOKING AT MEKONG RIVER CRUISE ON VIKING RIVER: WILL IT BE ENJOYABLE? Q – We are wondering if you might help us decide if we wish to go ahead with a seven-night cruise on the Viking Mekong in early June. We are thinking that this will remove all of the water issues we’ve been reading about in Europe and there could be a lot of culture and good food. We do have an interest in looking at old things, which, I am certain, friends might say about us. We are well-educated and sensitive to the inequalities in life. We know we will see some poverty but hope we that will not distract from the enjoyment of this cruise. I know we will see, perhaps, more temples than our Jewish friends see in a lifetime. That’s ok – we would enjoy that aspect of the cruise. Our only experience on any waterway was a cruise along the St. Lawrence and we did a London/Paris tour with Globus which we enjoyed. We’ve never been closer to Asia than the Chinese take-out about four blocks from our home in Wilmington, Delaware. Love your web sites and sorry if this question ran a bit long? First, no way we want you doing this cruise anywhere near May or June. Do it between November and the end of February or please don’t do it at all. Heat is a real issue as is humidity. Sailing in the dead of US winter, you will also be avoiding the rain and monsoon season in southeast Asia, not to be taken lightly. 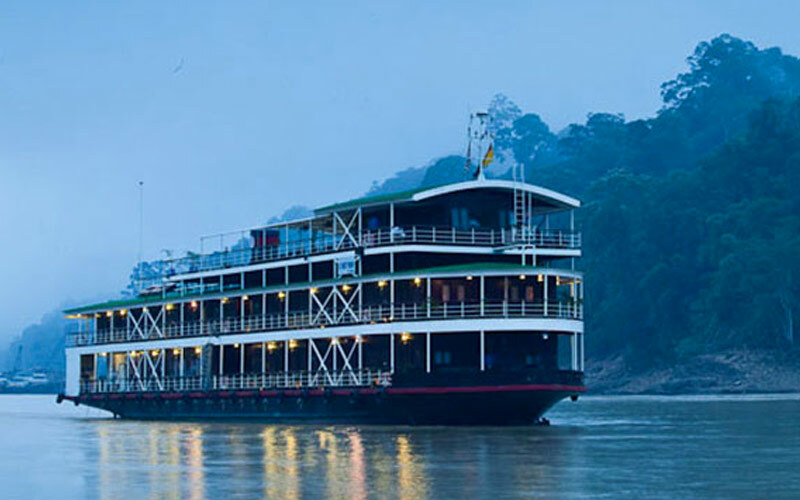 We think the 66-Guest Viking Mekong will give you an affordable, enjoyable experience. It is a vessel that looks like it belongs on the Mekong. There are definite water issues on this itinerary that appear from time to time. The major problem appears to be the lack of sufficient water in Tunle Sap Lake. Discuss this with your travel consultant and make certain that he/she has been to Vietnam and Cambodia. Certainly don’t ask anyone at the river cruise line as it is highly unlikely they have been there and if there were negatives they would never point them out. In fact,given the popularity of river cruising and the fact that most of the vessels operate at 100% capacity, there are often people in reservations who have never sailed the itinerary you are seeking or, for that matter, on any of the company;s vessels. But they won’t tell you that. We are most concerned about your self-described “sensitivity”. You will encounter absolutely breathtaking temples but you will also see beggars who have suffered landmine injuries. You will, in the case of Viking, likely be taken to an orphanage and you will see former POW camps or the Hanoi Hilton”. You will be visiting, in part, a land known for its “killing fields”. When you visit Vietnam and Cambodia this is part of the historical and cultural landscape, This is not always going to be “charming” or “happy talk” touring so we want you to re-consider this aspect of your itinerary decision. Would we go? In a heartbeat. We believe that experiencing a river boat in southern Africa, along the Amazon, sailing the Ganges in India, or southeast Asia, is an overall experience that generally surpasses the level of immersion and authenticity one would find on a river boat vacation in Europe. In the vast majority of cases, guest feedback for non-European river cruising experiences, let’s call them “exotics”, actually exceeds the level of positive feedback received from those whose experiences are limited to cruises in Europe. Finally, don’t even try to do this as a one-week trip. You will need a few days at either end before boarding your boat to get a real sense of place and to adjust to these very different cultures. This can be a truly memorable journey but we want you to discuss it in greater detail with a trusted travel advisor.